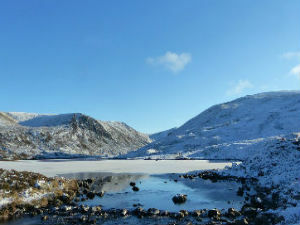 Staying at Braemar Caravan Park you will be the guests of Invercauld Estate. One of Scotland’s most picturesque rural estates, Invercauld has been managed by the Farquharson family for over 500 years and Braemar lies at its heart. Covering approximately 107,000 acres of upper Deeside and Perthshire, the Estate has three key pillars underlying its management objectives – the economy, the environment and the local community. These three aspects are as closely intertwined today as they have been for centuries as the Estate works with nature to maintain the magnificent landscape and support the local population. 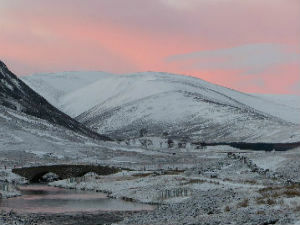 The Estate lies entirely within the Cairngorms National Park. Most of the Estate is comprised of heather moorland which is a prominent feature of the area. This moorland is managed by gamekeepers and farmers for grouse shooting, deer stalking and sheep farming all of which provide valuable income to the community. The Estate has extensive areas of woodland which are managed for timber production, amenity and conservation. 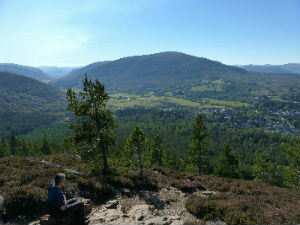 Hundreds of acres of new woodlands have been planted including many trees that can be seen from parts of Braemar Caravan Park. The Estate hosts Scotland’s highest 18 hole golf course at Braemar as well as the Glenshee Ski Centre which can offer some of the best skiing and snowboarding in the UK. The Estate also provides housing and shop accommodation, salmon fishing as well, of course, as mile upon mile of glorious walks. This management means there is a huge amount of wildlife on the Estate. Red squirrels, the iconic red deer, golden eagles and both black and red grouse, together with lesser known species such as golden plover, lapwing and merlin. We hope we can welcome you to Braemar Caravan Park where you also will be welcome guests of this historic and beautiful country estate. Invercauld Estate is not responsible for the content of external websites.